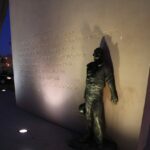 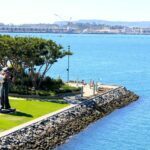 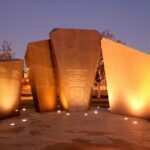 This is a short post as there is not a lot to write about this area other then that it is worth checking out if you are down in San Diego. 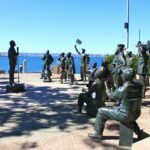 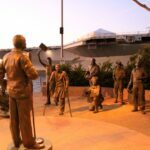 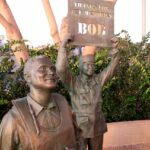 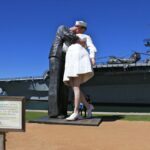 There are a couple of amazing statues located right next to the USS Midway, and they are fun to take pictures of and/or with. 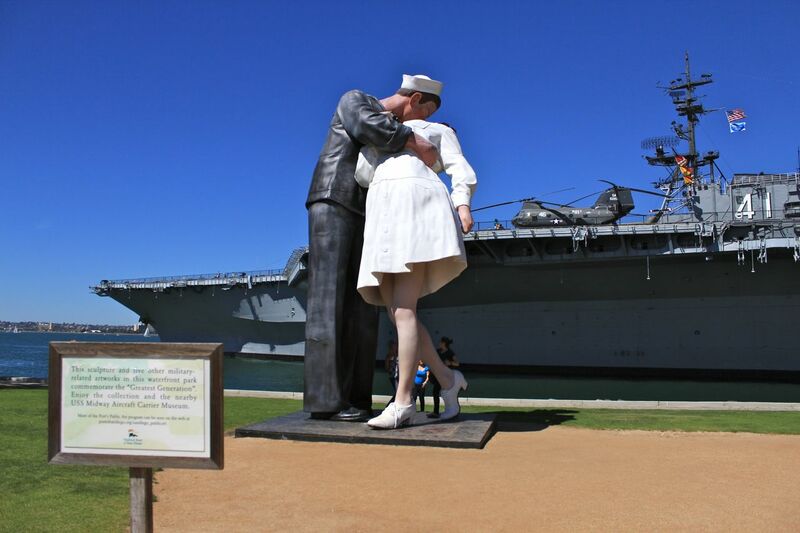 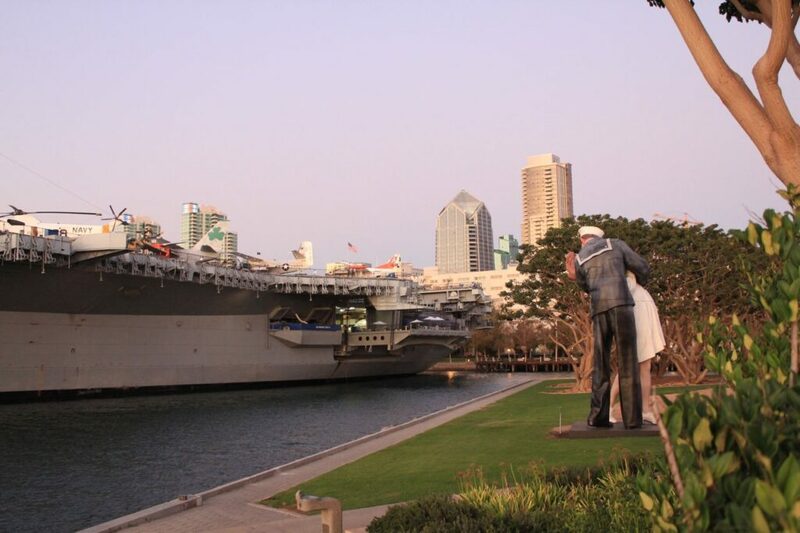 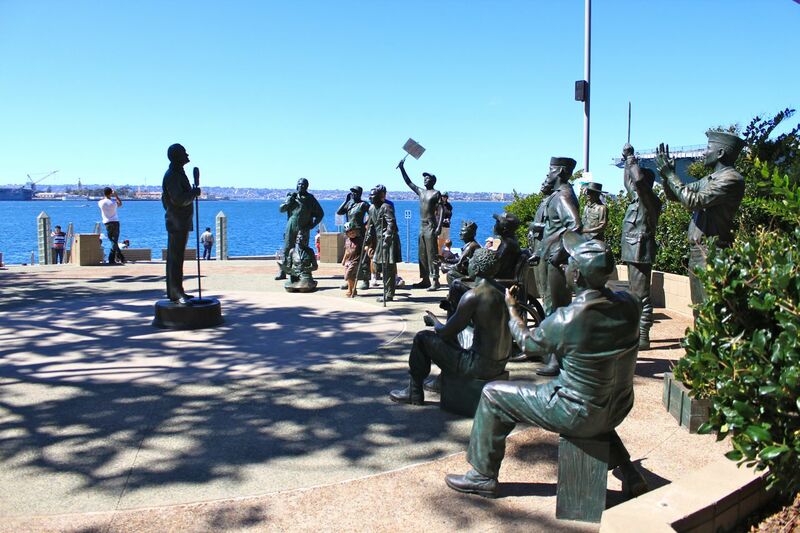 The first one is Unconditional Surrender by J. Seward Johnson, and it is a 25-foot tall statue of the famous image of a sailor kissing a nurse from WWII. 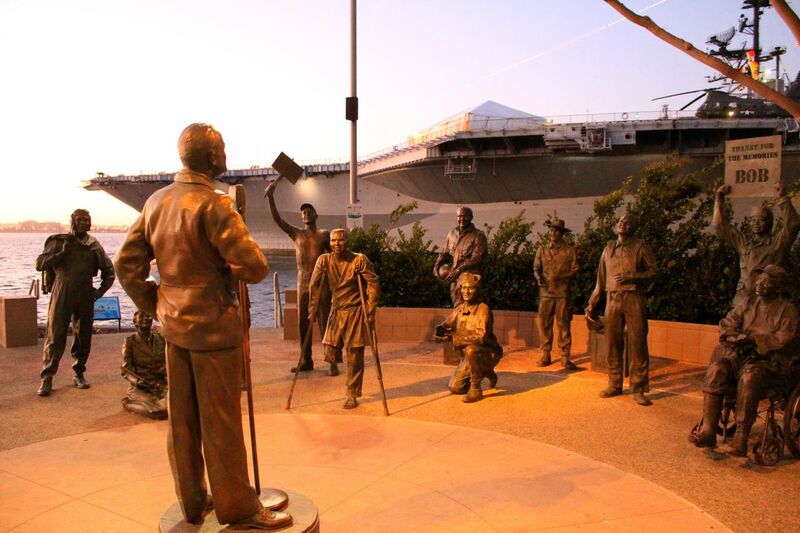 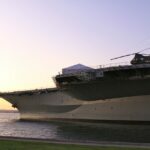 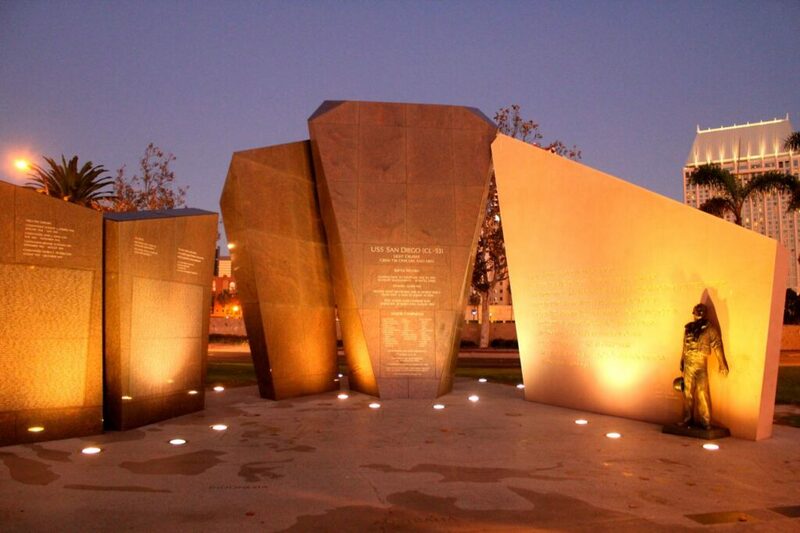 It is well done and is beautiful with the sunset or the USS Midway in the background. 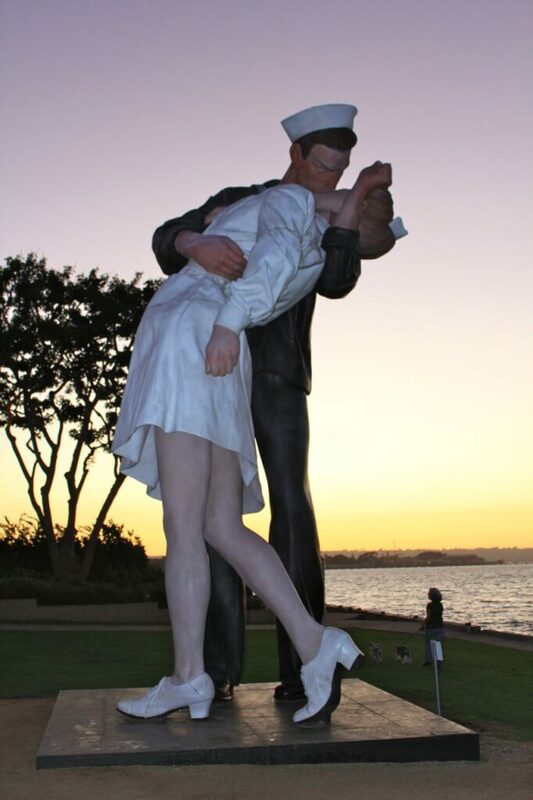 It also makes for a fun statue to copy with your significant other. 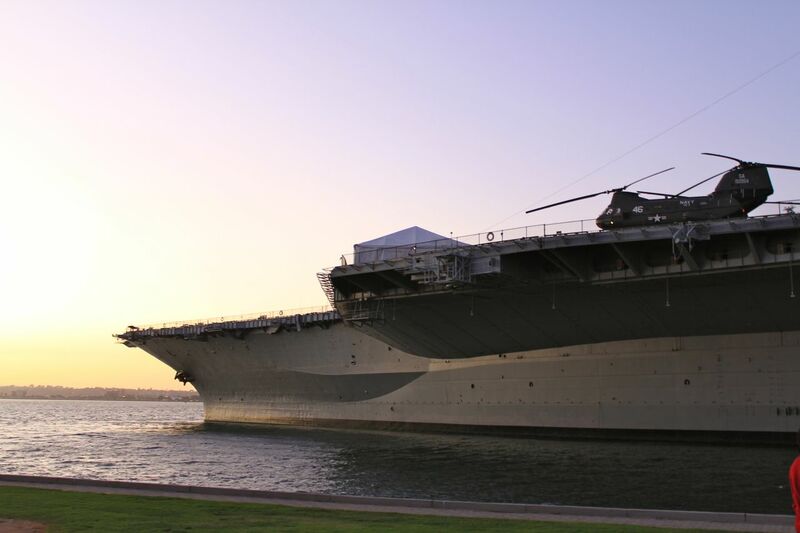 According to the website, it says it is only on loan until August 2010 but I was there in October of 2011 and it was still there, so go check it out if you get a chance. 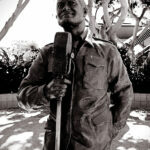 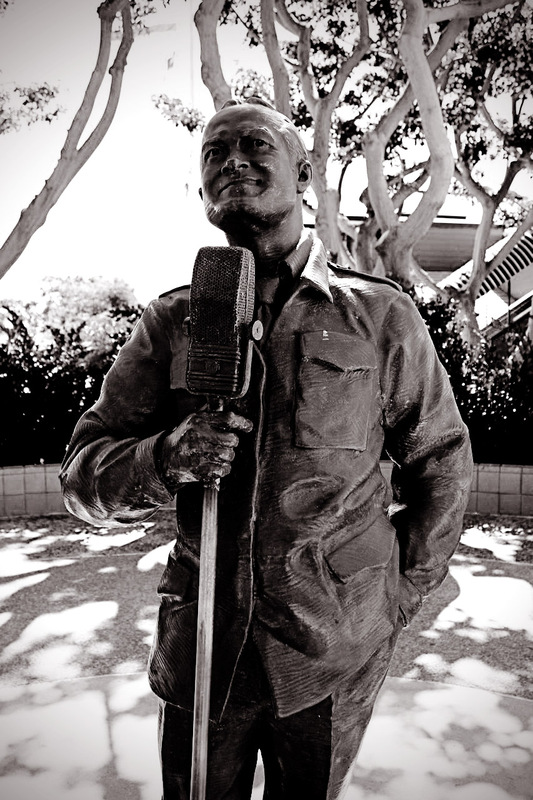 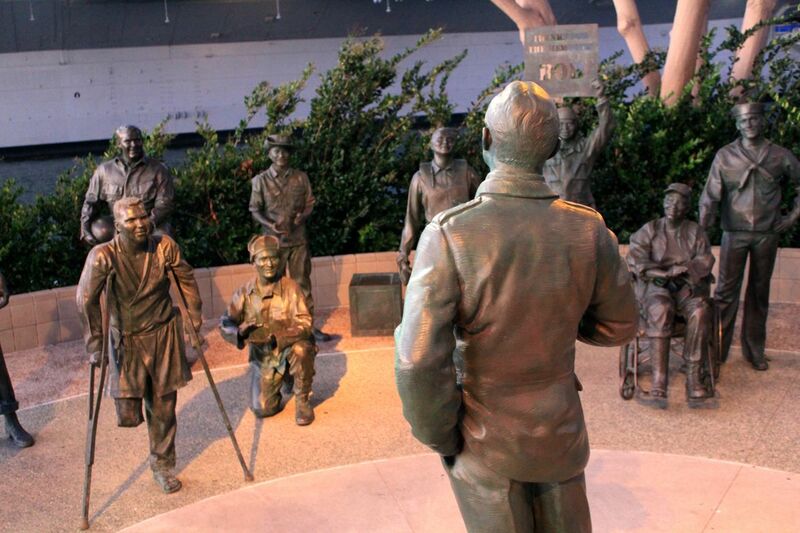 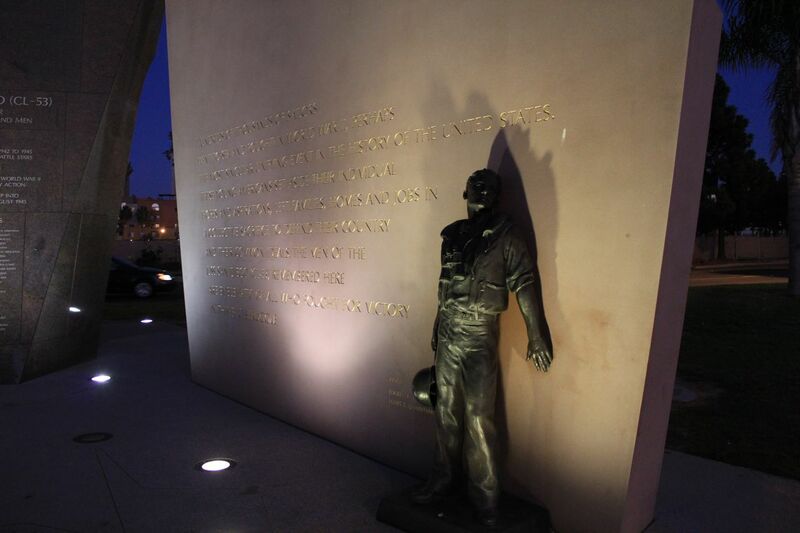 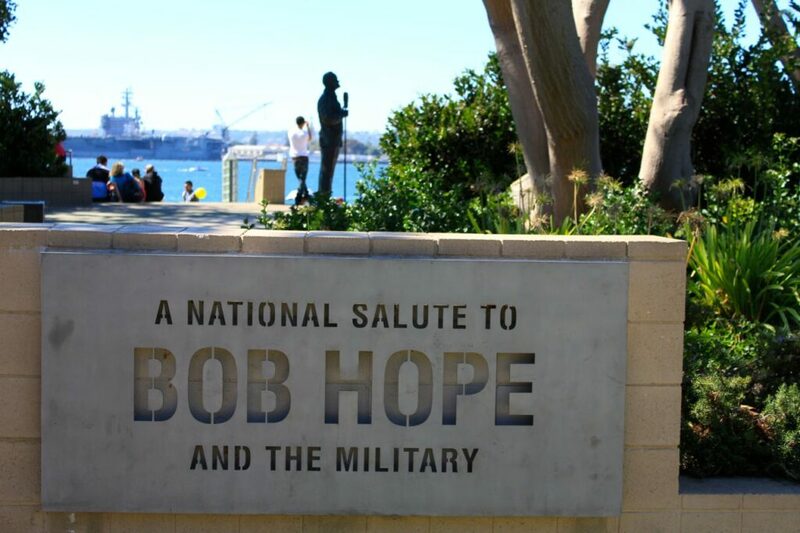 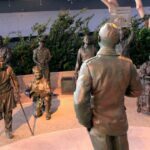 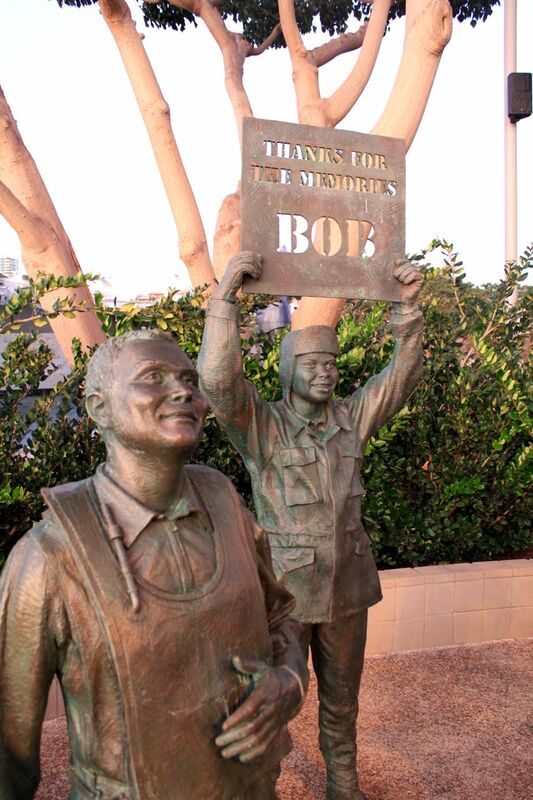 The other statue that they had there was a 1.3 million dollar statue of Bob Hope entertaining the troops. 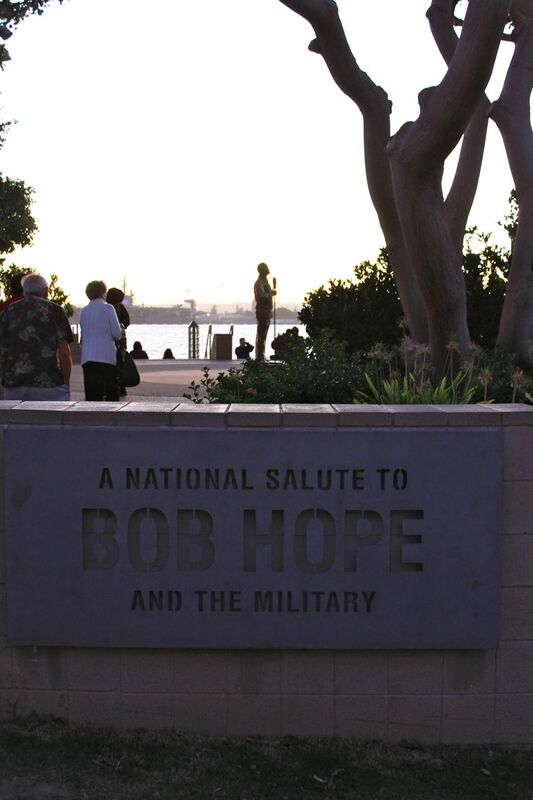 The price seems a little excessive to me, but the statue was pretty cool, and it had Bob Hope standing in the middle with many different soldiers cheering him on as they watch. 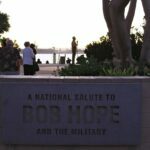 What was also interesting was that there was a stereo that was playing audio from some of his times entertaining the troupes while you were there, which really added to the experience. 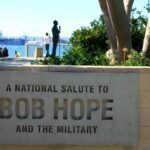 On the far side, there are also some wall memorials dedicated to members of the armed forces that lost their lives and all of this is perfectly situated with the USS Midway right behind it. 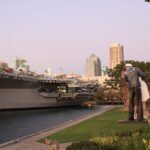 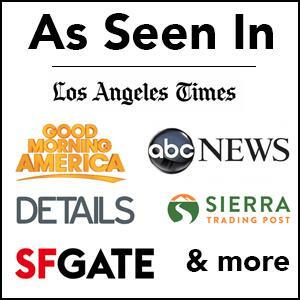 Makes sure you check it out if you get the chance as they are free to see, you only have to pay for parking at the metered lot. 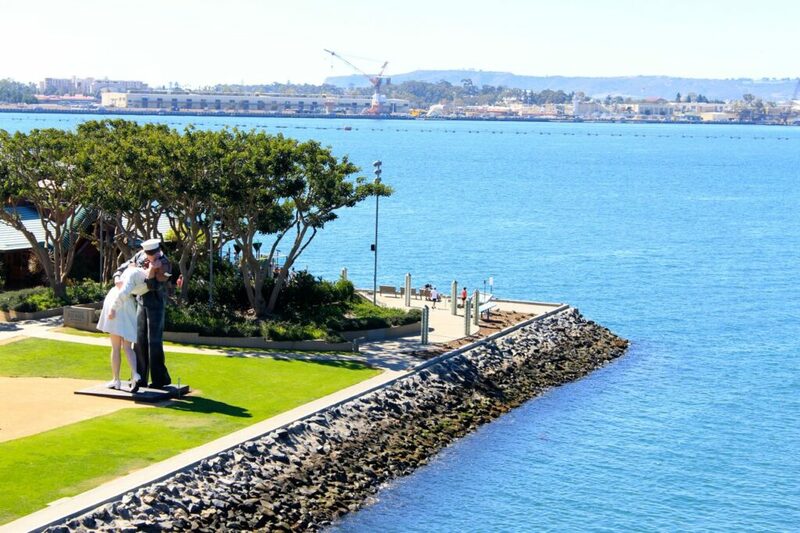 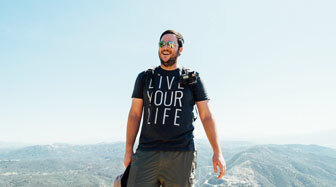 Get directions and check out the rest of the pictures below.